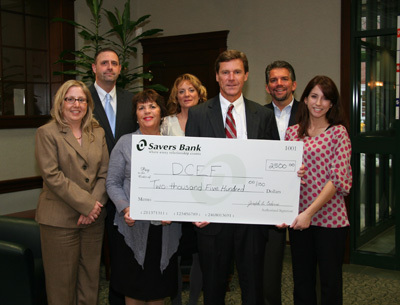 Savers Bank Announces a $2500 Donation to Dudley-Charlton Education Foundation Inc.
December 27, 2011 — Savers Bank announces a $2500 donation to the Dudley-Charlton Education Foundation to help advance innovation and expand opportunities in the district’s seven public schools. 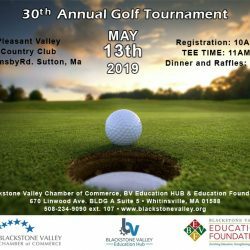 The Foundation provides funding for educational opportunities that would not likely receive money from the school district’s budget. This foundation helps disseminate grants to staff for programs that engage students in innovative learning. DCEF has created an endowment fund to guarantee an enduring source of supplemental funding, which will go toward enhancing and enriching educational experiences. “DCEF invests in our school children in ways public tax dollars and declining state resources do not. Savers Bank is happy to be able to support this foundation which provides many new educational opportunities beyond the classroom,” commented Joseph Coderre, President and CEO of Savers Bank. The Savers Bank mission is to help strengthen the neighborhoods and communities, which includes supporting local organizations. Each year, the Bank helps address a wide range of community needs, placing a special emphasis on the issues of youth and education. As your partner for financial success, Savers Bank strives to be the bank of choice in the community in which we all live and work.